Sony Xperia X Launch Preview - Hands On! 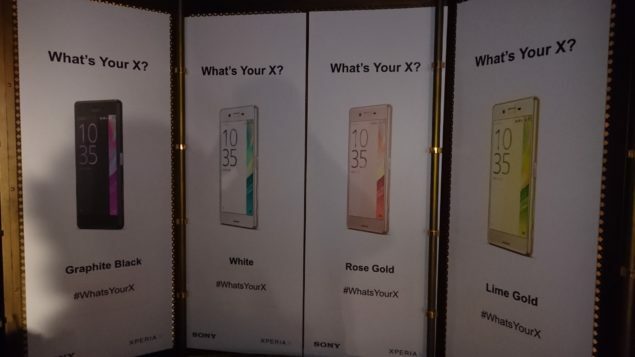 Sony Xperia X Launch Preview – Hands On! Well, yours truly was invited to the Sony Xperia X launch party in London last night. It was a trendy affair with hipsters all over the place, a trendy DJ who I have no idea who they were, trendy cocktails to match the colours of the new Xperia X, trendy bartenders doing the cocktail “watch me throw the bottle around and catch it” thing and various other setup scenarios to show off what Sony is clearly trying to make the X’s party trick: The Camera. The launch party was in a bar in London’s West End so was fairly poorly lit as one would expect of a bar in the evening. A few areas were setup with a guy doing football tricks (soccer for the Americans! ), a couple of “mixologists” making cocktails and of course the DJ. “Mixologists”, apparently they’re a thing! 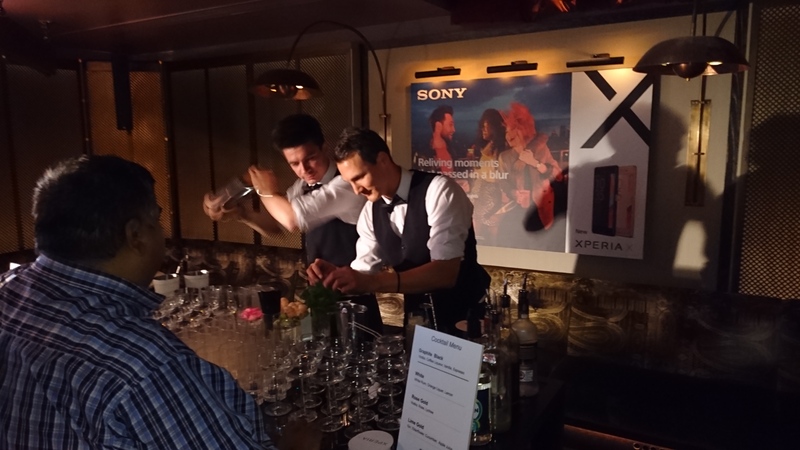 At various places around the bar were small stands with Xperia X’s on them for people to pick up and play around with. So I played around with the Xperia X for a reasonable amount of time. I recorded some of it with the video you can see below, but the camera as mentioned above, is clearly what Sony is positioning to be the X’s party trick, this was pretty clear by the number of staff giving demos of the camera’s low light performance and it’s tracking features etc. I watched the demo a couple of times at different locations. The premise was that, given the poor lighting in the bar, as well as the fast movements of the “mixologists”, football trick guy and DJ, the camera was so awesome that it could still get decent shots without a flash (let’s face it, phone camera flashes aren’t exactly the most powerful things in the world anyway). Indeed, watching the demo, the performance did seem pretty good, focus tracking on a moving person/object was reasonably accurate and the pictures (from what I could see on the phone screen) looked good. I will caveat this though. Good on a phone screen doesn’t necessarily mean good. Particularly for a 23mp shooter. I’ve taken pictures on my phone before and thought they looked fine but then gotten them on a PC and find that the main object wasn’t in focus but something near them was etc. The people doing the demo were always quick to blast through the pictures, never resting on one in a static position for more than a couple of seconds. Very quickly double tap zooming in and out. A couple of times, this meant that the phone actually started lagging a bit which was unfortunate. It wasn’t a huge lag, but noticeable. I’m not sure if he was trying to be quick to get through his demo and get to the queue behind me waiting to see or if there were genuinely less than ideal pictures there. I did ask about how Sony was able to achieve the low light performance and got a lot of non-technical “well, you know Sony make digital cameras right? This is the same technology that is in the alpha 6300, that’s how”, before moving on to give the next demo. There seems to be no 4K video capture mode. Even in some of the AR video modes, the back of the phone was getting quite warm to the touch. Tracking capability was good, but not exceptional. Points 1 and 2 are probably related. As those familiar with the Xperia Z3/Z3+ will know, they have a tendency to overheat due to the wonderful Snapdragon 810 inside them. I can use 4k capture on my Z3+ for a few minutes at a time depending in reasonable ambient temperatures, but leave it running for too long and the camera app will shut down (gives you a warning first but even so, it’s not ideal). It seems like Sony are trying to circumvent this by just disabling the mode entirely. Even the Xperia X Performance (the flagship using a Snapdragon 820) doesn’t advertise a 4K video capture mode. Sony claim an ISO of 12,800 on the main camera and 6,400 on the front camera. Zooming in on photos I took, they looked good in the low light, but at the same time, there could have been a decent amount of noise/graining there, it’s difficult to tell on a phone screen. I promised a short video of the X in hand. Keep in mind it was in a relatively loud and dark bar, but you can make out what I’m talking about and vaguely see the phone! Other general usage and navigation in and around the phone itself seemed good. Android 6 with it’s (now no longer new) custom permissions is the order of the day as you’d expect. The screens are nice and bright and the standard Sony software was of course all preinstalled so you’ll have PlayStation app along with Music, Album etc. I plugged in my earphones (Sennheiser IE 80) to try to get a listen to the sound quality which also seemed reasonable but the bar was loud and even with good isolation that I get from my buds, it was difficult to tell too much. Sony is obviously known for its audio and I’d be surprised if they let the side down too much, but yet another aspect that we’ll need to reserve judgement on for now. The construction of the phone feels solid as you’d expect. 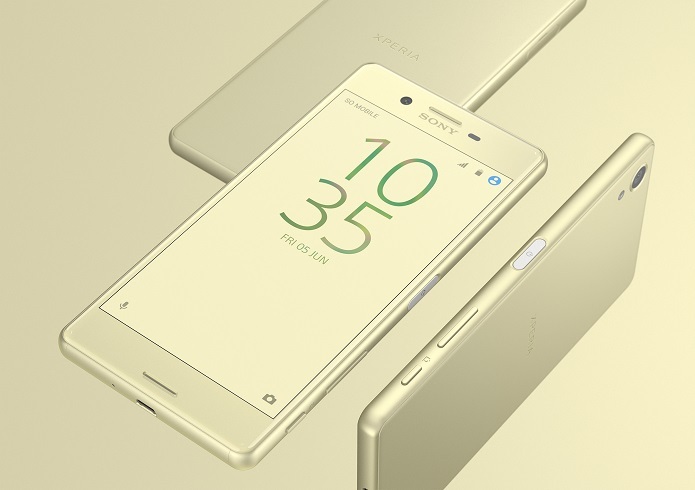 Sony has made a bit of a splash with rebranding the Xperia line-up from Z to X but it’s largely the same layout and feel as the phones you may already be familiar with as part of their Omni-Balance design theme. The back of the phone isn’t glass like it was on the Z’s but it also doesn’t feel like the cheap plastic of some past Samsung flagships which is a good thing. Overall, the Xperia X seems a solid upper mid range phone with Sony’s good build quality and decent experience in camera’s serving them well. It’s unclear whether the phone will live up to that when using in better conditions and able to properly compare photos, audio etc, but for now it looked good. Sony threw a good party of course which helps and some decent cocktails (4 on offer, one to match each colour Xperia X you can buy) were great! Ultimately though, this older non-hipster will wait for the tech to present itself and reserve proper judgement.